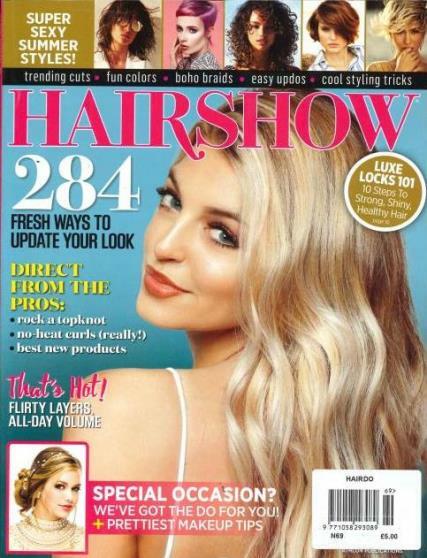 Hair cut and styling magazines are wonderful publications for showcasing the newest styles to traverse the scene of the fashion-conscious modern woman. Buy a single copy or subscription to Hairdo magazine. Hairdo Magazine is not just the average hair cut and style magazine, however, as it is a comprehensive blend of styling tips, the newest and trendiest hair cuts and styles, and a collaboration of hundreds of photos that are catered for not only someone who seeks a new hair style but also for the hairstylists who want to improve their knowledge of the hair styling world. It is considered the best source for stylists and hairdressers who continually want to improve their skill and offer their customers a wide and practical range of popular cuts that will certainly leave no room for disappointment. The magazine offers collection after collection of a truly spectacular range of fashionable and eloquent hair styles, and with detailed photos, tips, and techniques, this magazine gives all readers of all ages and hair types the ability to look for that perfect cut that they have always wanted.